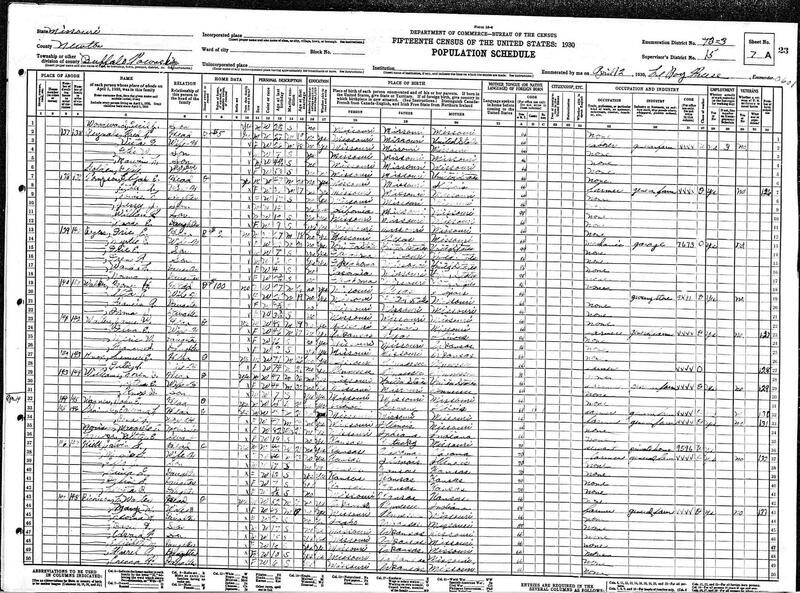 1930 Census Record containing John E. Wagner. Location: Buffalo Township, Newton County, Missouri. Note: All submissions to this web site must somehow be related to a family and/or individual currently listed within this site.